Age-related Macular Degeneration (AMD) and diabetic retinopathy are the most common causes of vision loss and blindness in the United States and our goal is to save vision in these patients. 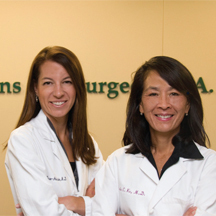 In 2012 the American Society of Retina Specialists launched Retina 20/20. This is a program to raise awareness about potentially blinding eye diseases that can be prevented if caught early and treated. AMD and diabetic retinopathy are two such eye diseases that need greater recognition by our communities. An estimated 15 million Americans have Age-Related Macular Degeneration and it is the leading cause of blindness among adults over the age of 65. The risk of developing AMD over the age of 75 is 30%. Left untreated, AMD would account for 50% of the blindness in the United States. As people age, some develop yellow deposits beneath the retina called drusen. As the drusen increase in size and number, they can interfere with the normal functioning of the retina, destroying the vision cells. This form of macular degeneration is known as dry AMD. 80% of people with AMD have dry disease. Wet macular degeneration occurs when new blood vessels grow beneath the retina. These vessels bleed and leak fluid damaging vital retinal nerve cells. While most people have dry AMD, wet AMD accounts for 80-90% of legal blindness associated with this disease. Risk factors for age-related macular degeneration: age, family history of AMD, female gender, people of European descent, cigarette smoking, obesity, hypertension, excessive sun exposure, diet deficient in fruits and vegetables. Diabetic retinopathy is a growing public health concern. If detected early in combination with good control of the underlying medical disease, most vision impairment can be prevented. Unfortunately 37% of patients who require screening for diabetic retinopathy do not get it. There is a tremendous lost opportunity at preventing vision loss in this patient population. Diabetic retinopathy occurs in more than half of the people who develop diabetes. The longer someone has diabetes or poor control of blood sugar levels increases the risk of developing diabetic retinopathy. There are two general causes of vision loss from diabetic retinopathy: diabetic macular edema and proliferative diabetic retinopathy. Diabetic macular edema is swelling or leakage in the center of the retina (macula). Vision loss occurs when the retina tissue dies from poor blood supply and impaired delivery of oxygen through the swollen retina. Proliferative diabetic retinopathy occurs when new blood vessels grow in the eye that bleed and cause scar tissue formation. The eye can fill with blood (vitreous hemorrhage) or the scar tissue can cause a retinal detachment leading to vision loss. It is possible to have diabetic retinopathy for a long time without noticing symptoms until substantial damage has occurred. Diabetic retinopathy typically affects both eyes. Risk factors for developing diabetic retinopathy: disease duration, poor control of blood sugar levels, high blood pressure, high cholesterol, pregnancy in someone with diabetes.